One of the most important fixtures in a property is the sewer line. It is important as it serves as the pathway, which allows the wastewater to exit a property and move towards the water treatment or sewage system. If the sewer line gets clogged or damaged, it can cause some real problems in your home and your plumbing can not be used. In more severe cases, it can even lead to the failure or breakdown of your whole sewage system. 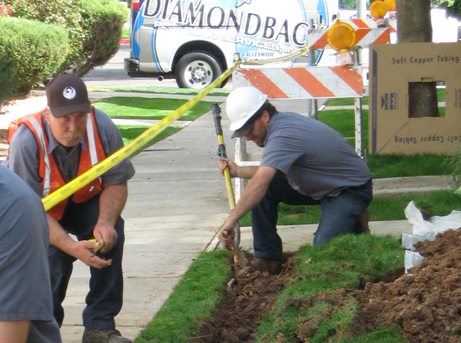 If there are already signs of a damaged sewer line, contact Diamond Plumbing in Scottsdale immediately. We are experts in repairing and installing residential sewer lines so expect our team to be of help in bringing back the excellent performance of your sewer line as soon as possible. Why Do You Need to Fix, Replace or Unclog Your Sewer Line? Several reasons warrant the need to fix, replace or unclog your sewer line, such as when it gets punctured, clogged or fractured compromising its overall performance. Among the signs to watch out for that indicate a damaged sewer line are low water pressure, slow drainage, a foul and unwanted smell coming from wastewater leaks, a higher number of pests and insects, and some potential leaks. We can use specialized video camera inspection equipment so we can visually see what is wrong with your sewer lines. Pipe deterioration – The pipes that you used for your sewer line might deteriorate over time. Regardless of the pipe material used, it will still deteriorate as it ages. It might cause a significant damage that can lead to the breakdown and deterioration of the pipes. It can also cause punctures and other obstructions. Punctured pipes – The pipe might also get punctured due to the roots in trees. Note that the growth of the roots in plant may accidentally hit the pipes underground. This can lead to the pipes shifting its position or getting punctured. When this happens, expect your sewer line to get disrupted, too. Aside from the sewer lines, the roots might also damage freshwater lines. Any misalignment in the pipe connections – Any part of your sewer line that is misaligned can actually lead to damage. Such misaligned parts might cause leaks or the development of line fractures. Several factors might trigger the misalignment in your pipe connection, including natural disasters, like earthquake. It might also result from a subpar sewer line construction. Improper use of drainage – This is probably one of the major reasons for damaged sewer lines. It often happens due to the incorrect disposal of garbage and weight that can lead to the clogging of your sewer lines. In this case, an immediate fix or replacement is necessary. One common fix for damaged sewer lines is cleaning the lines. In this case, Diamondback Plumbing can help as our experts have the necessary tools and proper training to clean the sewer line in your property correctly. It would be best to delegate the task of cleaning your sewer line to real experts and professionals in the field instead of doing it on your own. This is to ensure that the line will also be thoroughly inspected to find the root cause of the problem. Through thorough inspection, we can determine whether cleaning is already enough or if it needs a more advanced solution. You can also choose to have your sewer line fixed using the traditional method known as trenching. This traditional technique might directly damage some parts of your property as it involves trenching, or digging of holes. 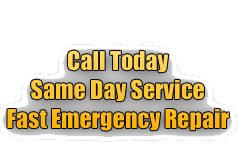 However, certain situations require only this solution to fix the damage in your sewer line. To ensure that this traditional sewer line repair method is conducted correctly with the least damage possible, contact Diamondback Plumbing in Scottsdale. Our expert plumbers can do this type of repair quickly and professionally, thereby fixing the damage without causing excessive property damage. If you prefer to repair your sewer line without trenching then the trenchless repair is ideal for you. It’s an effective method in repairing the damage in your sewer line without causing damage to your property. One example of trenchless repair is pipe lining. It would be best to leave this job to real professionals and experts, like Diamondback Plumbing Scottsdale. Contact us right away to learn more about this technique and if it is suitable for your home. Another effective fix for sewer line damage is pipe relining. This involves repairing your sewer line or piping system without installing new pipes. You can contact Diamond Plumbing Scottsdale for proper pipe relining. We are experts in this field as we have been doing this type of job all across Scottsdale while providing satisfying results. We start the process by evaluating the sewer line thoroughly first. We then focus on detecting the issue in your sewer line and clearing out the blockages before finally relining the pipe. Our main focus is to fix your sewer line and produce positive and long-lasting results. Contact Diamondback Plumbing to deal with your plumbing repair concerns today! All the work completed by Diamondback Plumbing is per UPC/IRC Code.